So the past few weeks have been so busy so with family time, travelling and getting my festive on…but with Christmas out of the way it time for me to start working on the blog again and updating you lovely lot! So have a look about what I have been loving over the past few weeks. 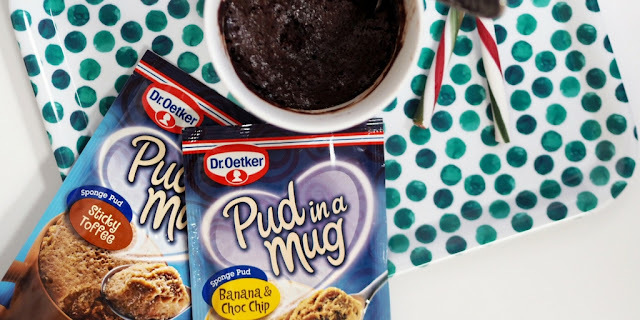 It’s a pudding and it takes approximately 90 seconds to make – what is not to love. There are a number of flavours in the Dr. Oetker range from traditional chocolate and sticky toffee and newly launch Banana and Choc Chip taking inspiration from banana bread with gooey chocolate chips! With a splash of milk and a microwave oh and a mug you will be in for a treat. 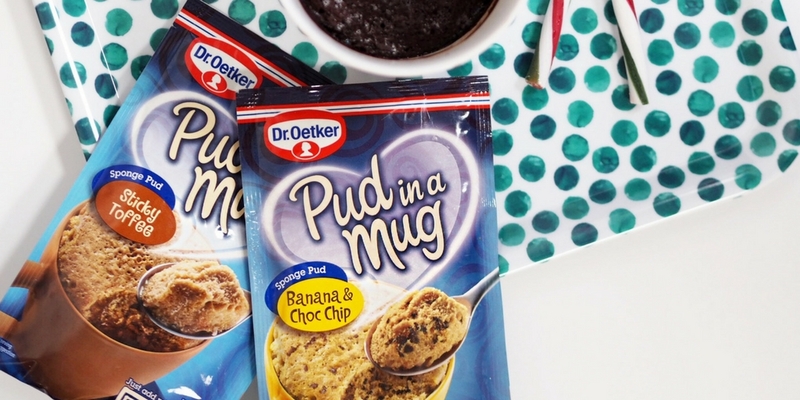 I actually think these are pretty perfect for work, just pop the sachet in your handbag. In my second month and I have had my second facial although from my last facial after 4 weeks my skin did start to deteriorate again so I think it’s important to make sure I am getting them every three weeks to ensure my skin doesn’t erupt (TMI)– I do hope my skin will be perfect by September for my wedding as these random breakouts are horrible! Anyway this month I tried out another Medi-Spa close to my work in Richmond called Bodyvie and had a facial mixed with the dermalux light treatment. Which if you remember my last facial (it's here if you don’t) I also had light therapy via a mask. The Dermalux machine looks a little scary as its huge not just a mask but lights up pink so it's actually quite pretty. So after a nice cleanse, dermabrasion and a face mask this machine was put on me for 20 minutes and even after a day my breakouts calmed down and I am looking to have clearer skin in the next week or so - fingers crossed. To visit Bodyvie in Richmond visit here. 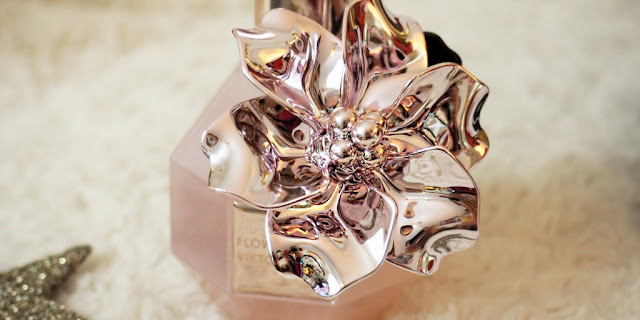 A fragrance which has featured predominantly in my collection since university has been Viktor & Rolf, it is a bit on the pricer side but it smells of a flower garden and its bloody beautiful. Check out the limited edition 'Flower Bomb' eau de perfume which has an embellished rose, because why not?! 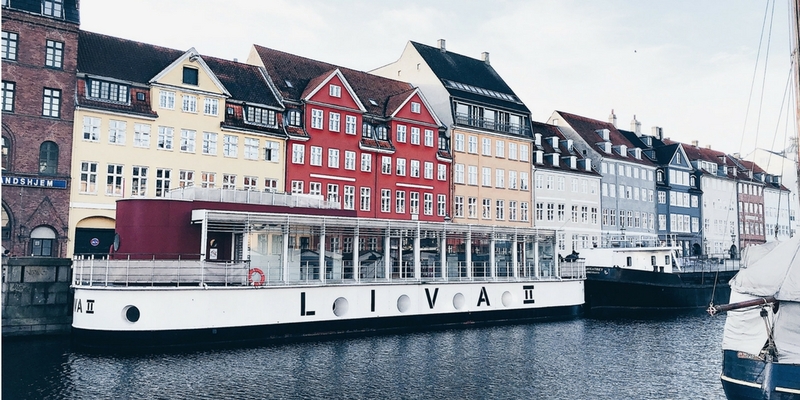 So last year I did not travel as much as I would have liked due to saving up for my wedding and all...but in December I went to Copenhagen to get my festive on, eat yummy food and spending far too much money. Don't worry there will be lots more on Copenhagen starting next week with a Foodies Guide to Copenhagen as there is too much to say for Friday faves but I just had to mention it. As I get older art is starting to become more important in my home although both Adam and I are not experts we have no idea what we are doing when we look at art but I believe you should just go with what you love / like the look of. Most of my art consists of animals or a bunch of colours smashed together. I recently came across a new company called Rise Art and there is so much choice from well known and new artists and i picked up two beautiful peices. 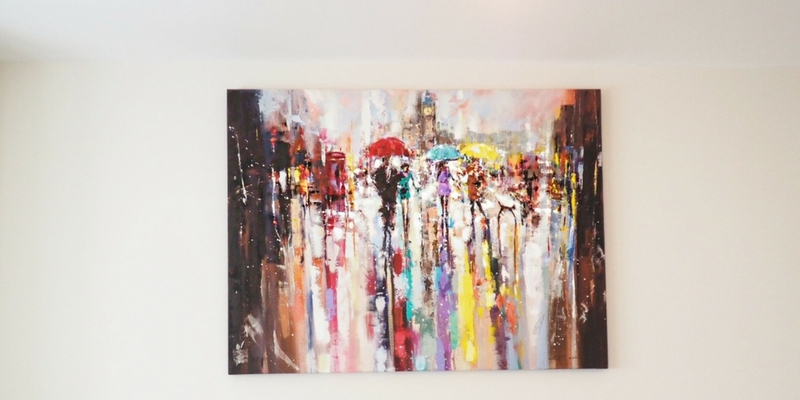 When I said I liked art with Colour EwaCzarniecka’s piece titles “Romance in London” fitted perfectly and it’s currently hanging up centre stage in my lounge and everyone that has come to my house so far has commented on how lovely it is. Also don’t be fooled by the photo the painting is huge! I also purchased a piece by MarionMcConaghie dedicated to my love of animals again called Earthbound of a dark bird with in a white frame this has not been hung yet but I feel it will go lovely in my Kitchen.